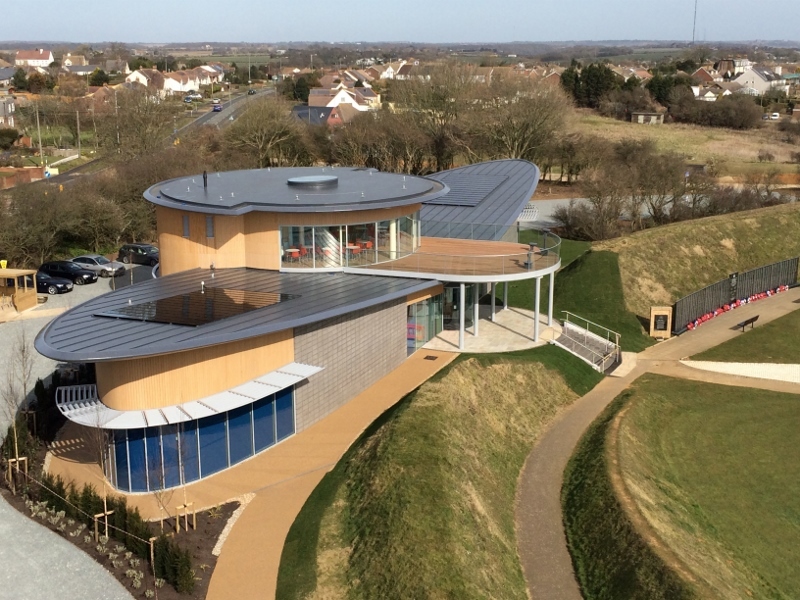 One of Balcony’s largest-ever curved sliding glass doors has been installed at a new £3.5 million visitor and education centre dedicated to the Battle of Britain overlooking the English Channel in Kent. 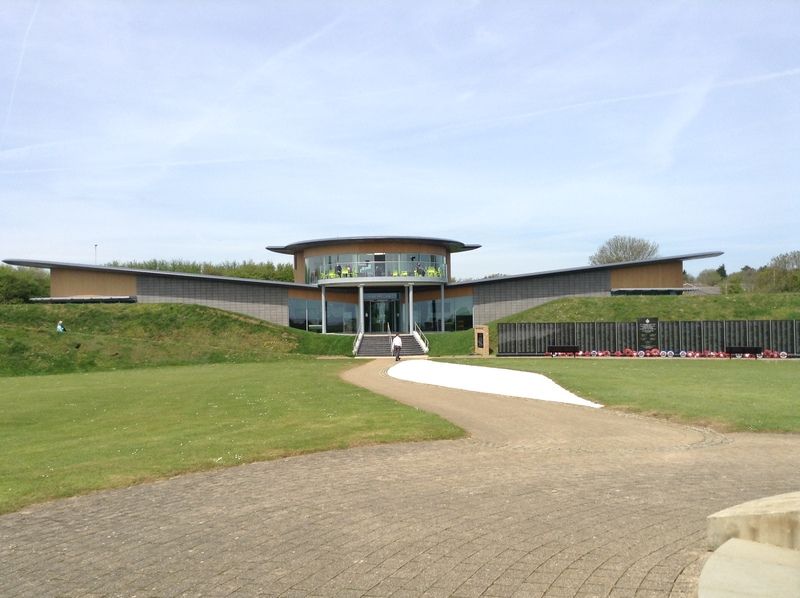 The Wing, which is home to the interactive Scramble Experience, was officially opened by Her Majesty The Queen and the Duke of Edinburgh in March 2015 during the 75th anniversary of the Battle of Britain. 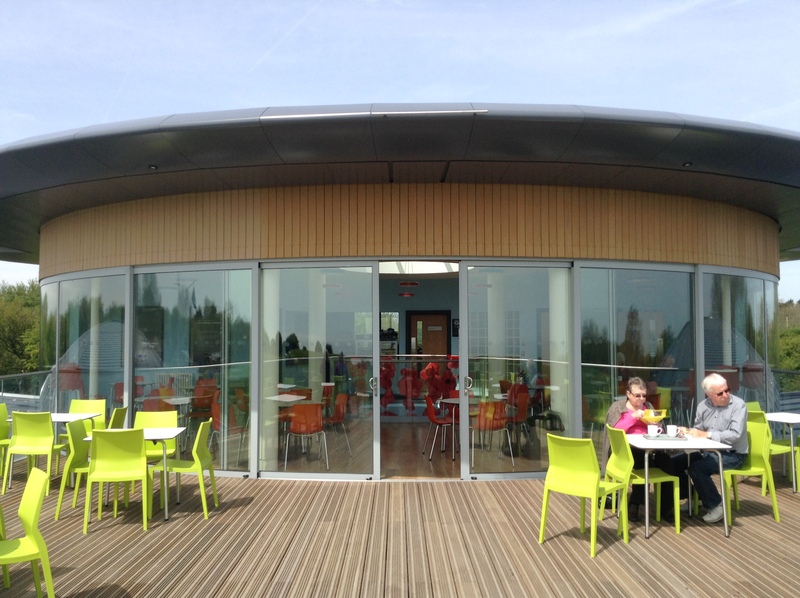 A spokesman for the Battle of Britain Memorial Trust said: “The Wing is built in the shape of a Spitfire wing, with a central ‘cockpit’ area on the first floor housing a café with unbeatable views out over the channel. 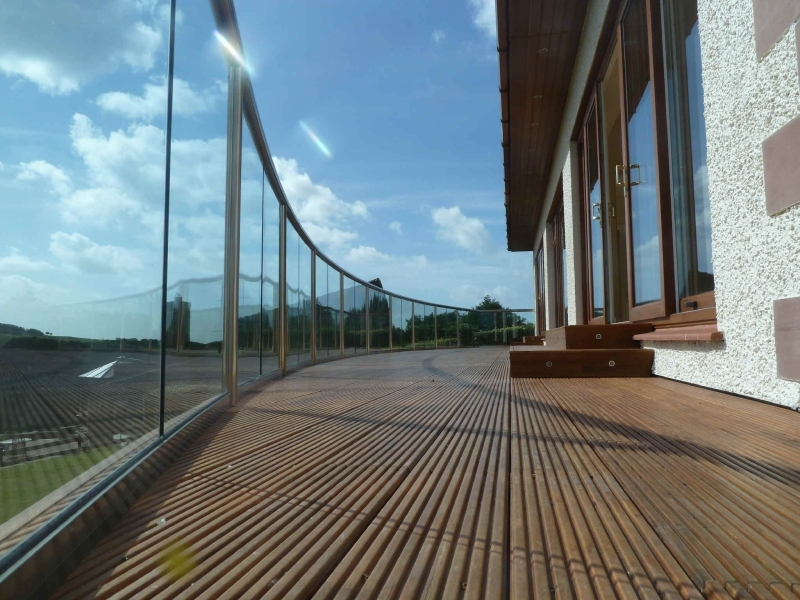 “At 19 metres wide, this is certainly one of our largest curved doors and it looks absolutely amazing! 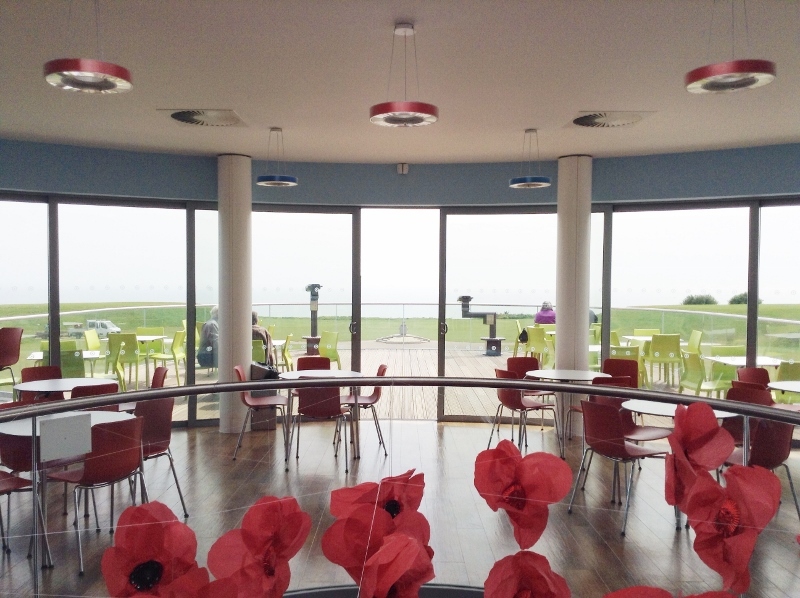 The Battle of Britain Memorial Trust’s Cockpit Café must have one of the best views in Kent and we are delighted to have helped the client realise their vision with this prestigious project.” Concluded Effi Wolff, Managing Director at Balcony Systems. 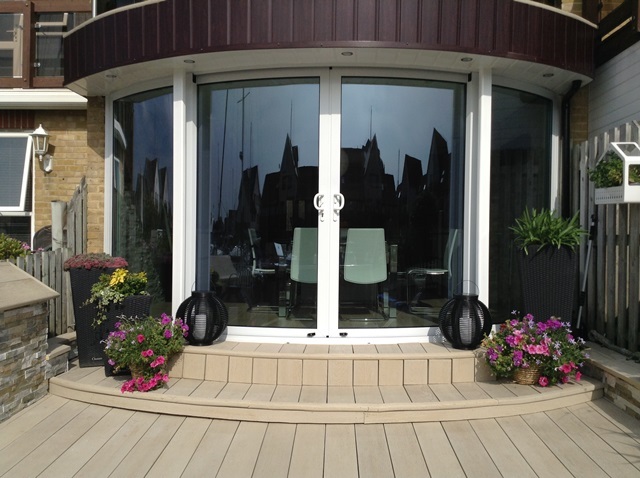 An impressive curved sliding patio door, glass balustrading and composite decking, all supplied by Balcony Systems, have added the ‘Wow factor’ to this Portsmouth home overlooking a marina. 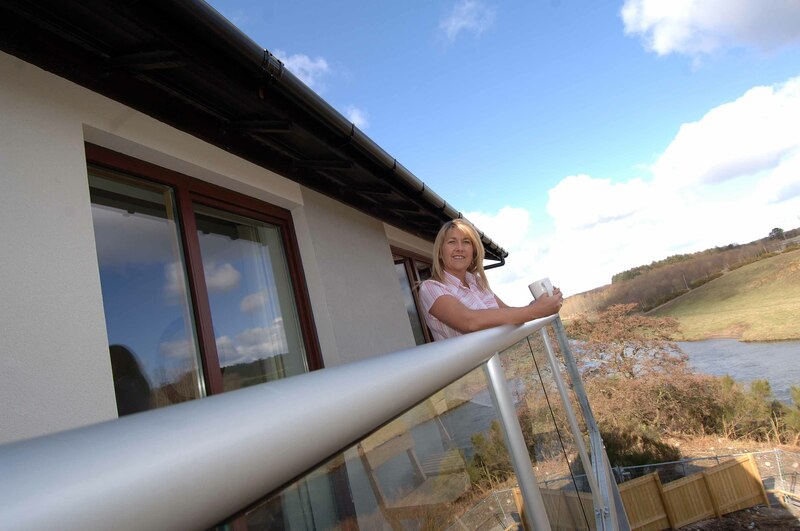 Self-installed by John Sharp, this stunning glass balcony supplied by Balcony Systems does full justice to fabulous south-facing views from his East Ayrshire bungalow. 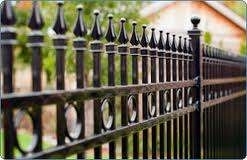 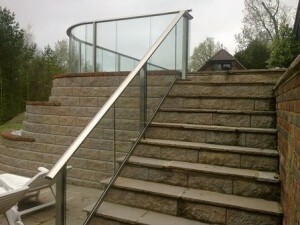 John, a retired valuation surveyor, found fitting the 17 metre-long curved and straight balustrade at his extensively-renovated 1930s Newmilns property was a relatively straightforward job. 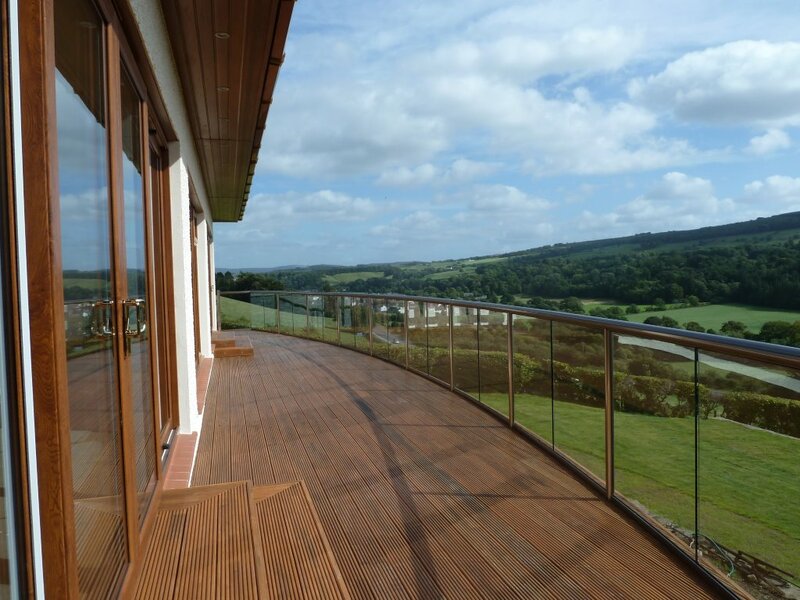 Glass was essential to keep the far-reaching views over the Irvine Valley from the quarter-acre plot, with the added benefit of not needing any time-consuming painting or maintenance. 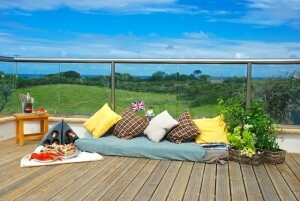 “To have put a wooden balustrade would have been nuts!” I would not have wanted anything to disrupt the view,” he says. 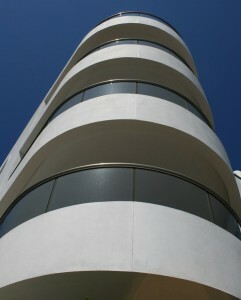 John opted for a curved balcony, having changed his original rectangular concept as it had ‘no architectural feel whatsoever’. 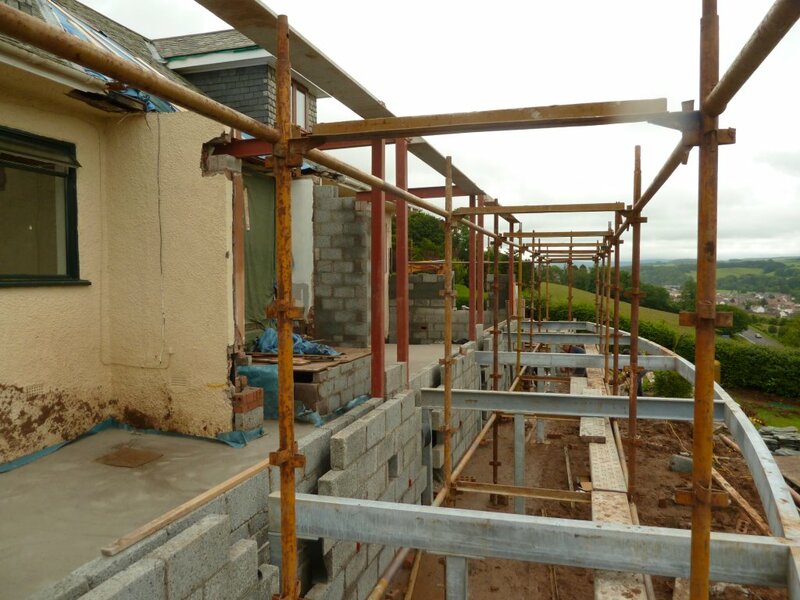 A former neighbour told him about Balcony Systems’, having installed one of their Juliet balconies on a similar property to his. 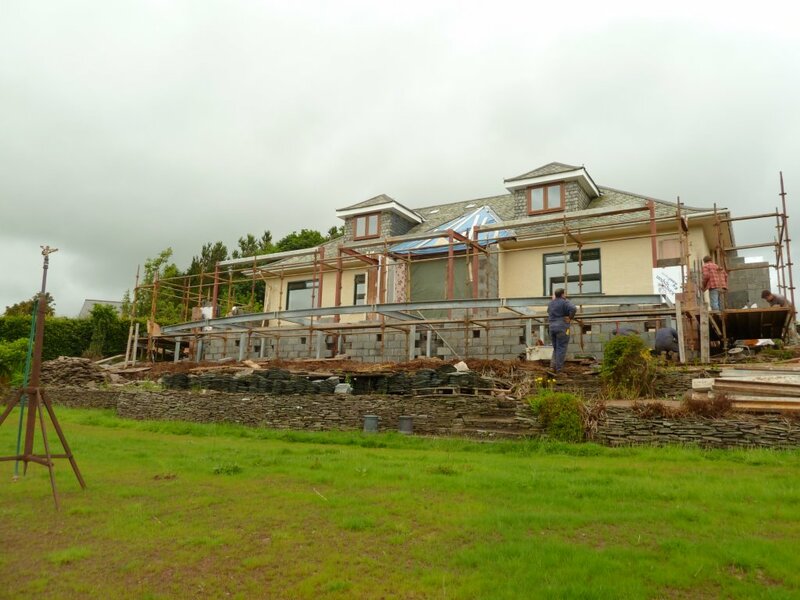 John installed his balustrade gradually, enlisting the help of a friend to weld the posts to the steel and timber joists of the cantilevered deck built onto the property. 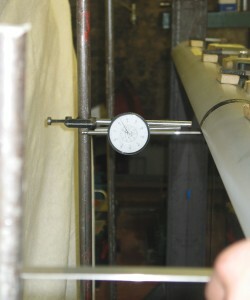 The straight and curved sections were easy to do, using just three lengths of handrail to cover the 17 metre length. 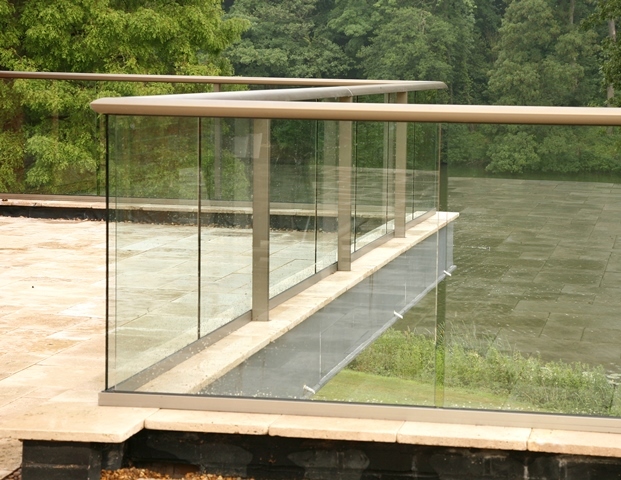 Measuring over 8.0m wide and 3.0 metres deep at the centre point , narrowing to 1.5 metres at each end, the balcony area provides a flexible area for entertaining and is accessed from two sets of sliding patio doors from the main living rooms as well as a set of stairs giving access to a patio. 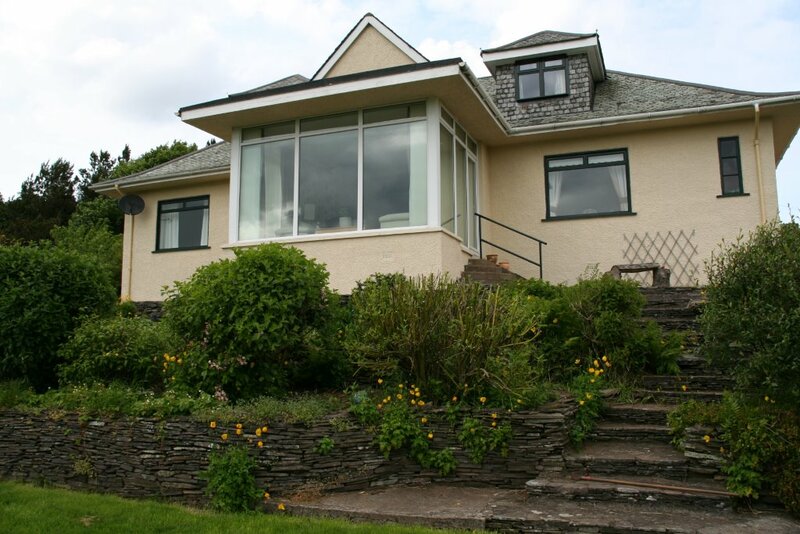 Refurbishment of the former six-bedroomed bungalow included demolishing internal walls to create larger rooms and open-plan living areas, flooding the interior with light. 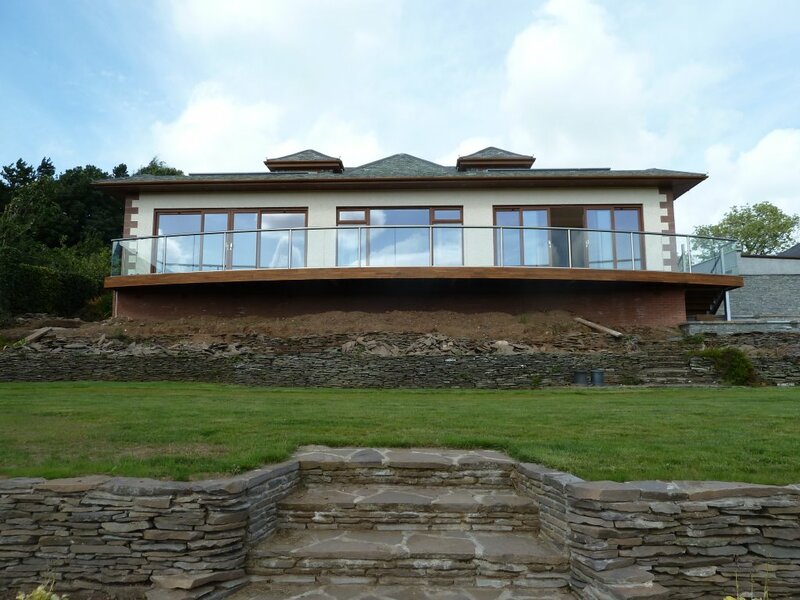 As for their new balcony, John and his wife Kath, who downsized from a much larger property, are looking forward to enjoying what is undoubtedly a unique feature of their hillside home.